Extreme weather events, drought and rising sea levels threaten the lives and livelihoods of millions of people around the world. 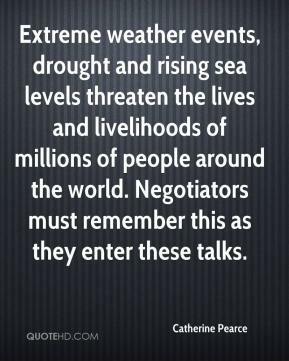 Negotiators must remember this as they enter these talks. 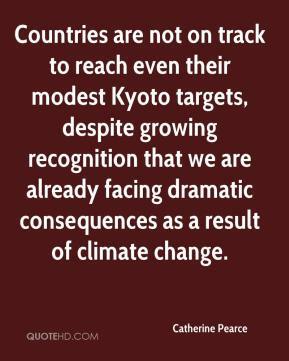 Countries are not on track to reach even their modest Kyoto targets, despite growing recognition that we are already facing dramatic consequences as a result of climate change. 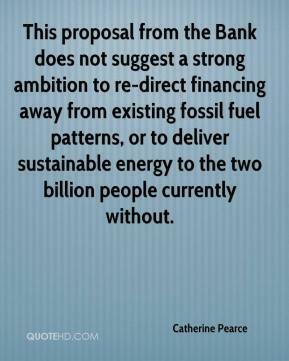 This proposal from the Bank does not suggest a strong ambition to re-direct financing away from existing fossil fuel patterns, or to deliver sustainable energy to the two billion people currently without. 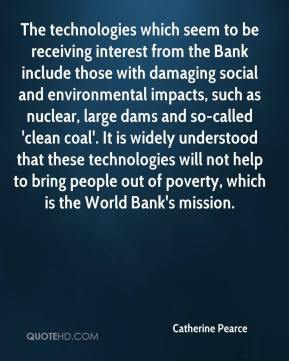 The technologies which seem to be receiving interest from the Bank include those with damaging social and environmental impacts, such as nuclear, large dams and so-called 'clean coal'. It is widely understood that these technologies will not help to bring people out of poverty, which is the World Bank's mission.